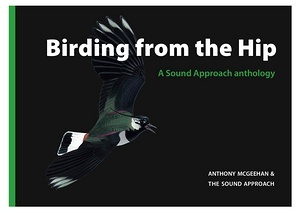 Asked about his forthcoming book, Anthony replied," Having worked myself up from The Observers Book of Birds and pawnshop opera glasses to Swarovski ELs (and abject poverty) it is has been a cathartic experience to survey a life directed by birdwatching. Looking back and writing about what happened has given me a chance to don rose-coloured binoculars and make sure that, with the passage of time and the onset of a failing memory, truth did not get in the way of a good story. The book is about the moments that punctuated days either in the company of birds or in the company of a class of humanity that both Darwin and Linnaeus overlooked - Homo orno, the birdwatcher. Somewhere in the middle of it all is a deeper meaning - expressed best by Mrs McGeehan who observed the process from the sidelines and has charted, in several pithy epistles, my descent into a Life of Birds."